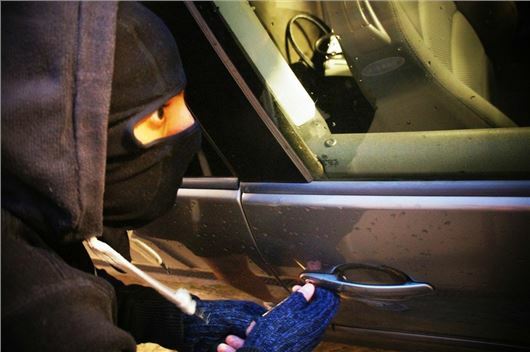 You can protect your car as much as possible but there's sometimes little you can do against a determined thief. But what do you do if your car is stolen? Well the first thing is not to panic. Often it could be that your car has been towed away so look for a notice nearby. It could be a parking infringement or that you're blocking access. Yes it's costly and frustrating but at least you'll be getting it back. But what do you do if you realise that it has been stolen? Don't dial 999. It may be an emergency for you but it's not an emergency for Police. That is unless you can see your car being stolen or have spotted it being driven off. If there's no immediate danger, call 101 and have ready the make and model of you car, the colour and of course the registration number. They will then be able to add it to their list of stolen vehicles which officers will be on the look out for. More importantly, you'll get a crime reference number, which you'll need to give to your insurance company. After the Police this is your second most important port of call. They will advise you of what to do next and will require your crime number in order to proceed. They will send you the forms you need to make a claim. Don't assume you'll get a courtesy car though. While most of the big insurance firms will provide you with a courtesy car if yours is stolen, not all do. Others charge an extra premium for providing a courtesy car after theft. If your car is recovered - around a third of all cars stolen are actually recovered - then the insurance firm will either pay for it to be repaired, depending on the damage it sustained while being taken and in the period inbetween - or will write it off if it's not worth repairing. If the insurers settle your claim and the vehicle is then found they will keep the vehicle. If your car isn't found your insurer should pay you its market value, which is what you could have sold it for. As well as the car itself, there's a high chance you had something of value in it. Maybe a sat nav in the glovebox, an iPod or a lot of CDs. It's worth making a note of these as soon as possible, before you forget. You can claim for these items either on your home contents insurance or your vehicle insurance, although depending on your excess and the value of the items it may not be worth it - although this is usually were issues arise. What the insurer offers you and what you think it's worth may be two very different figures. Insurance claims for stolen cars can take a long time to settle but Financial Conduct Authority (FCA) rules say that your insurer must either make a reasonable offer of settlement within three months. If your car is recovered in a week, you can apply for a vehicle tax refund. You'll need to fill in a V33 form, available from the a DVLA Office or by calling the DVLA on 0300 790 6802. You can't get one from the Post Office. You'll need your crime reference number before sending the completed form to the DVLA Refund Section. If you have a personalised registration, you can reclaim it and retain or transfer it to another vehicle if the original vehicle has still not been found after 12 months.